 Rates are per apartment, per night, as applicable.  Rates quoted are subject to Value Added Tax (VAT) levied at 20% for the first 28 days and 6% thereafter. Nota bene: to meet the 4% VAT after 28 days I will lower by 2% the rate if that is an issue for you.  To qualify for discounted long term rates the initial booking, or any extension thereto, must have been booked for the set minimum period required to obtain the said rate.  Any booking made for 6 or more rooms is considered a group and therefore different terms and conditions may apply.  For stays of 1-28 nights, a valid credit card number is required to guarantee the reservation.  For stays of 29 nights and over, two weeks prepayment will be required 14 days prior to the arrival date, and a further payment will have to be made every 2 weeks throughout the stay, unless an alternative payment schedule has been agreed in writing between parties.  All confirmation deposits must be received at the time of booking or at least 14 days prior to arrival. If not received, Respite Management Ltd reserves the right to cancel reservations without notice.  Deposits may be paid by credit or debit card upon receipt of the cardholder’s signed authority form and a clearly legible copy of both sides of said card. Where a corporate or company credit card is used, the copy of said card must be presented on company headed paper.  For stays of fewer than 7 nights, unless prior credit arrangements have been made, full payment of accommodation and tax is due upon arrival, along with a £100 pre-authorisation for any incidentals.  Pre authorisations are automatically released upon departure, less deductions for any incidental charges or damages incurred.  For stays of over 7 nights, unless prior credit arrangements have been made, full payment for the first 30 day period of accommodation and tax is due upon arrival, along with a £50 security deposit for any incidentals.  Deposits will be refunded upon departure, less deductions for any incidental charges incurred.  Payments can be made by cash, major credit and debit cards, cheque or bank transfer (on the provision that funds are cleared prior to check-in). Subsequent periods of accommodation will be payable in advance, in periods of 30 nights, or part thereof as applicable.  In all cases, Respite Management will provide an invoice for the period charged for your records.  Longer stay guests will be invoiced on a monthly basis to ensure said accounts remain in credit at all times.  Stays of 1-6 nights: notice of cancellation is required 24 hours prior to check in to avoid the cancellation fee of 1 night being levied.  An option held upon an extension to a rental period is subject to the cancellation terms as notified above.  No-Shows are treated as per cancellation policy above.  Guests staying 1-6 nights must give 24 hours prior notice if the apartment is to be vacated earlier than the date originally intended to avoid the early departure fee of 1 night being levied.  Guests staying 7-28 nights must give 72 hours prior notice if the apartment is to be vacated earlier than the date originally intended, in order to avoid the early departure fee of 3 nights being levied.  Longer-term stays may be subject to other minimum stay requirements. Tenancies falling short of such minimum stay requirements will be subject to retrospectively applied accommodation rental surcharges.  In all cases, notice to extend must be received 14 days prior to scheduled departure date.  Extension requests received outside of the above notice period will be granted on a subject to availability basis.  In order to accommodate an extension when already resident, the above notice periods apply.  Children from 0 to 2 years free of charge. 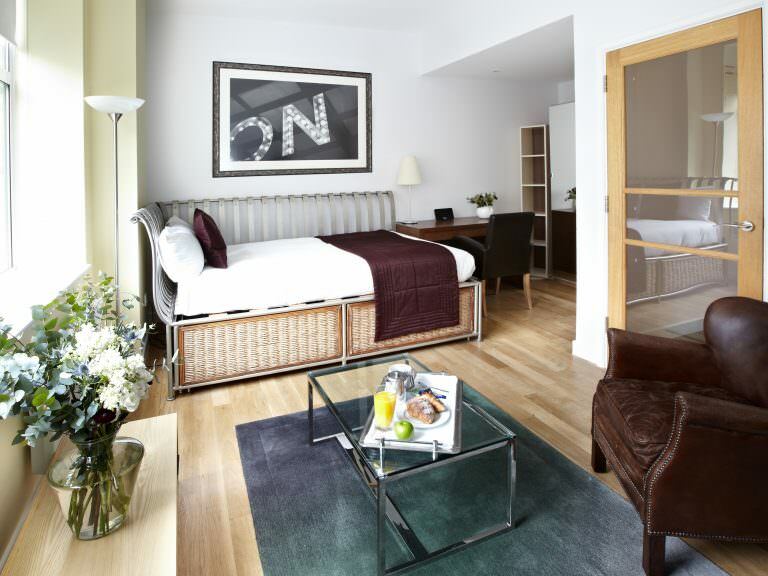  Executive Studio Apartment: 3 people, providing with an extra bed, extra bed is chargeable at £55.00.  One Bedroom Apartment: 3 people, providing with an extra bed, extra bed is chargeable at £55.00. 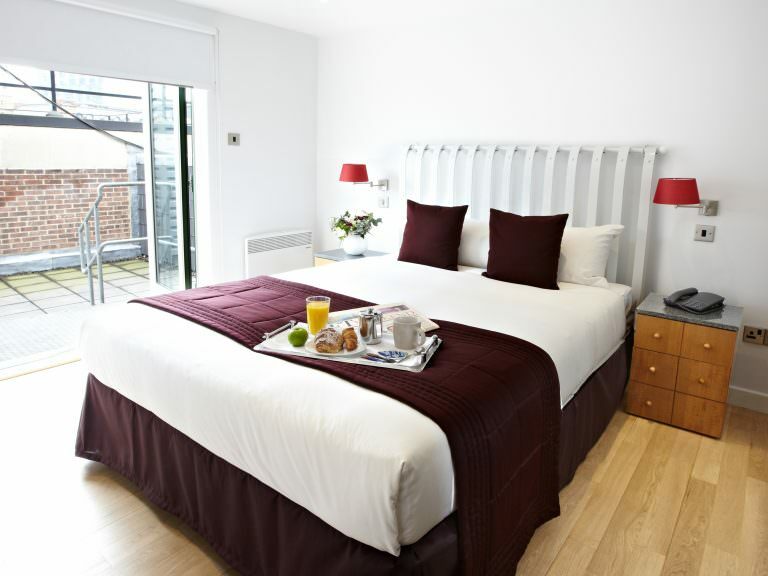  Executive One Bedroom Apartment: 3 people, providing with an extra bed, extra bed is chargeable at £55.00. 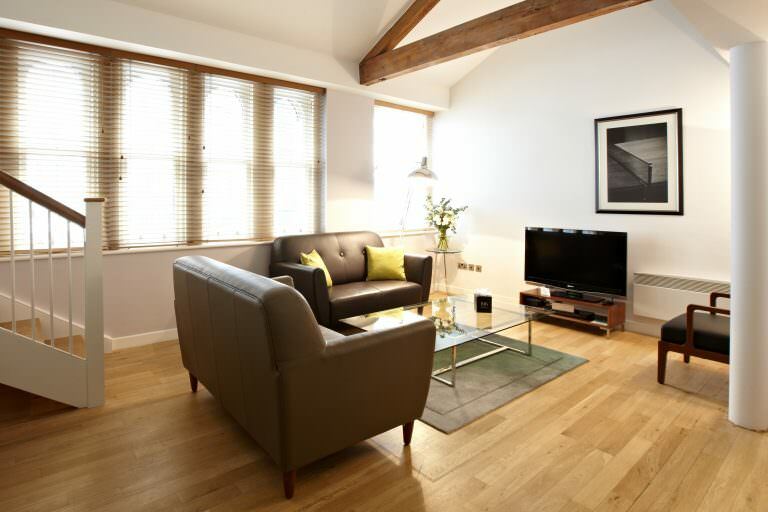  Two Bedroom Apartment: 5 people, providing with an extra bed, extra bed is chargeable at £55.00. q Grocery Service is available to all guests from £5 per order. All orders must be either pre booked at the time of reservation or with the reception desk prior to 10pm the day before requirement. q WiFi is free of charge to all guests in both bedrooms and public areas. q Tours are available to all guests via the reception desk. An external company hosts said tours and thus Respite Management Ltd does not accept liability for any disputes between said supplier and said guest. Commission is payable on the net rates at 10% + VAT. The supplier agrees to pay all commission claims within 30 days of invoice receipt, if received prior to 5th of each month. 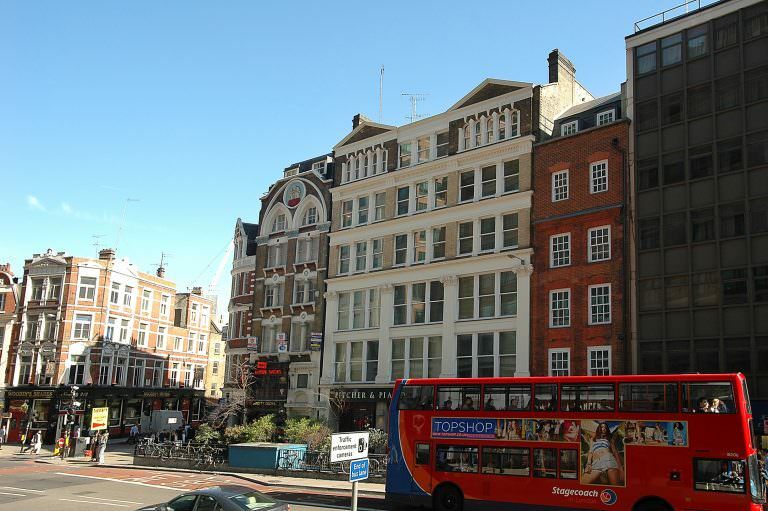 196 Bishopsgate is situated in the heart of Liverpool Street across the road from Liverpool Street station and bordering the eclectic fashionable areas of Brick Lane, Shoreditch and Hoxton. 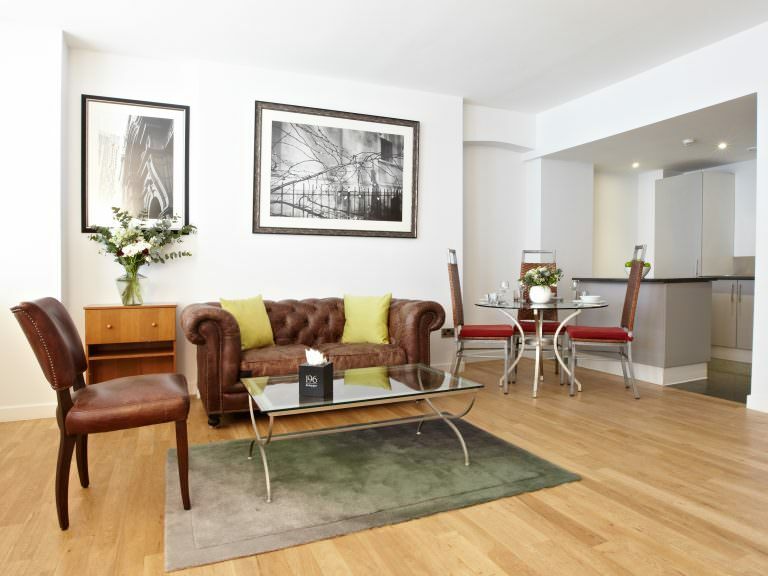 This location is ideal for those working in the City and with easy connections to both Stansted Airport and City Airport this property may be the perfect hub to live and work in this vibrant City. Local fayre such as the numerous authentic Indian restaurants and the eponymous Beigel Bake in and around Brick Lane - to the Polo Café opposite the station – which never closes – and in fact can’t as it doesn’t have a front door! 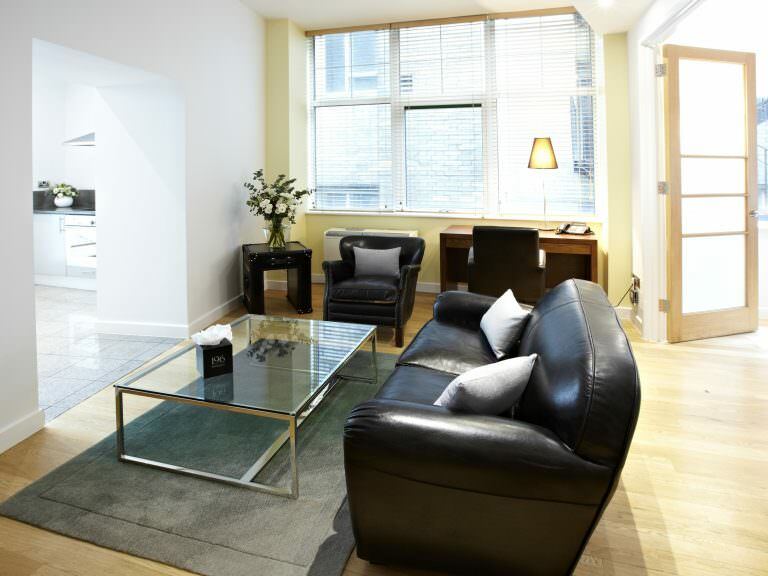 196 Bishopsgate is part of the Unlisted Collection portfolio and offers seven standard studios, five executive studios, fourteen standard one bedroom apartments, nine executive one bedroom apartments, ten two bedroom apartments and two penthouse apartments. 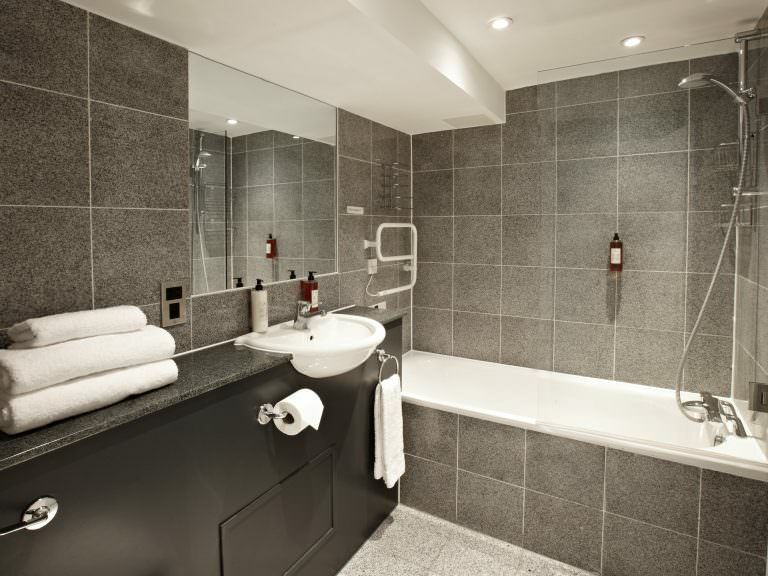 Complimentary use of Town Hall Hotel and Apartments’ (sister hotel) heated pool and gym for guests of 196. 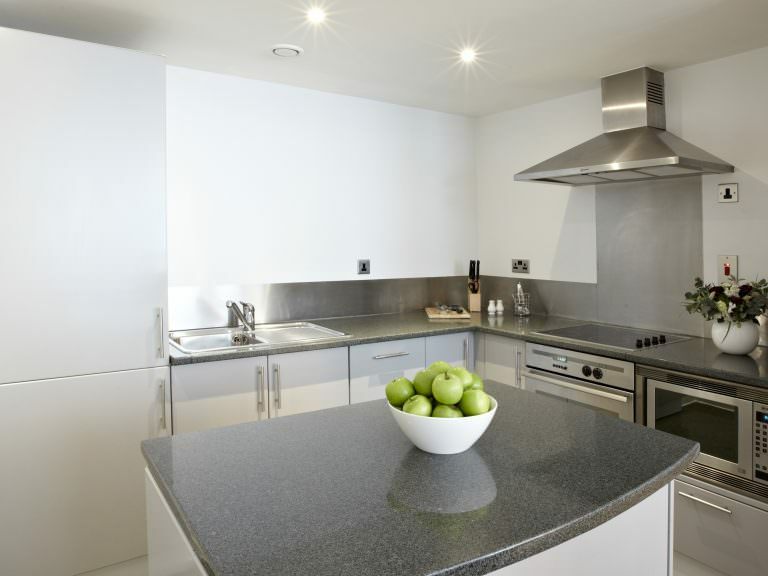 All the apartments are self-contained with their own fully fitted and equipped kitchen complete with cooker, and hob; fridge freezer, dishwasher and washer dryer. Some of the apartments have the added feature of an internal windows which projects more light and makes the apartments feel even larger than they are. 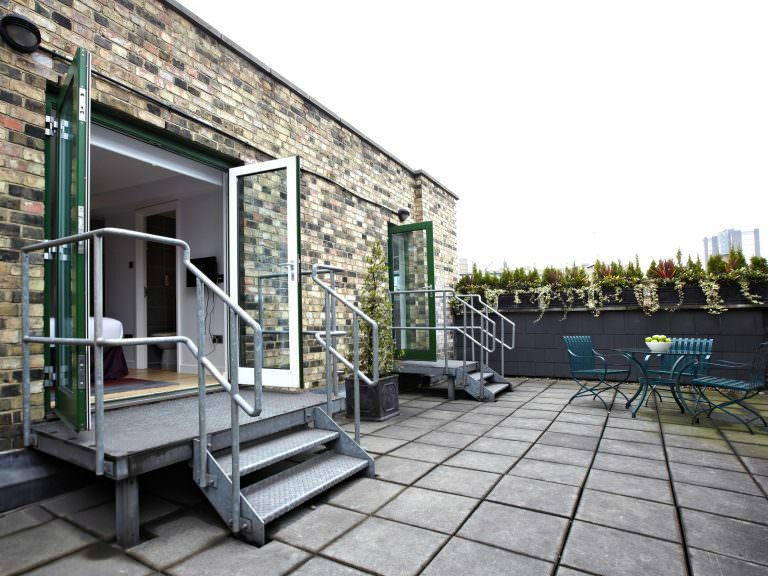 This property has considered their guests needs when fitting out the apartments and the residence has air-conditioning and heating throughout – all individually controlled. 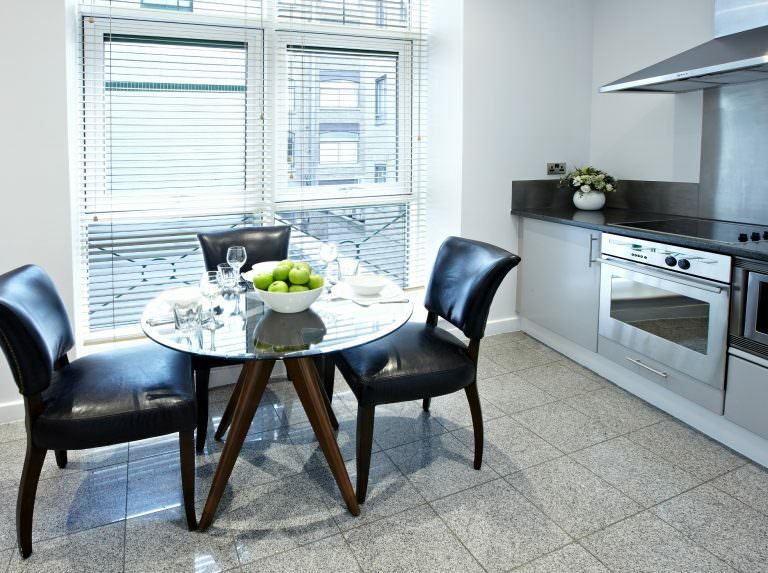 The windows are double glazed, and for total peace of mind 196 Bishopsgate provides 24 hour reception, 24 hour security and in room electronic safe. They also provide daily housekeeping (6 days per week). Wireless broadband is provided in all the apartments together with LCD TVs and satellite channels. They also have DVD player and HiFi system with CD player.